Blackhawk products are known as some of the highest quality gear available for the serious shooter. 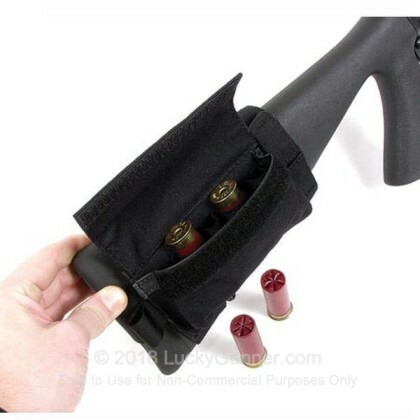 This buttstock shell holder is designed to carry 5 shells of shotgun ammuntiion securely on your buttstock. 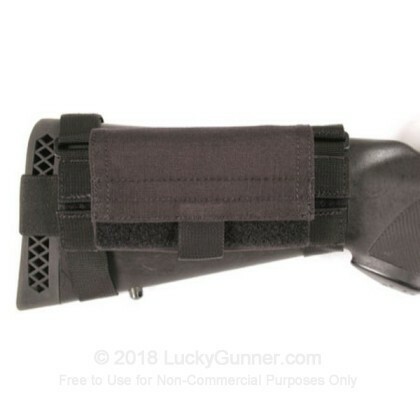 Constructed with an elastic sleeve slips right over shotgun stock for quick ammo access. The ammunition is secured by the sewn-on elastic loops, and protected by a pouch and cover flap with hook & loop closure. will stand up to real world treatment. The 500 denier pouch was designed with all shooters in mind and features an ambidextrous installation.